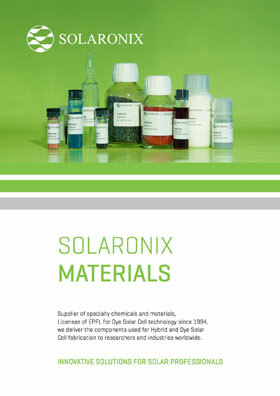 Ever since the beginning at Solaronix, an important part of the business has been devoted to the key materials for hybrid organic-inorganic solar cells. 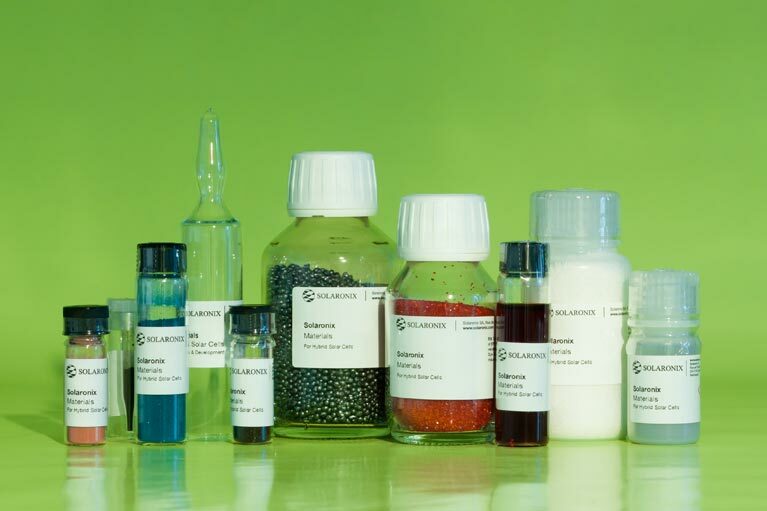 Thanks to a diverse portfolio of specialty chemicals and components, the company delivers around the world high quality ingredients to research centers; academic laboratories or pioneering technological enterprises. 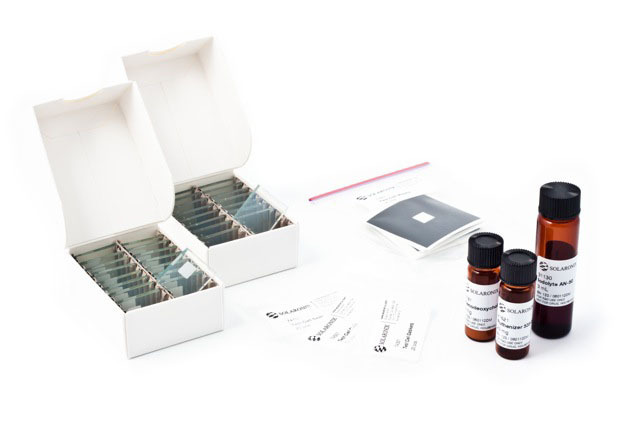 Our products are available in tailored quantities for both research and industry, and we continually scale-up and introduce new products to sustain the market's growing demand. 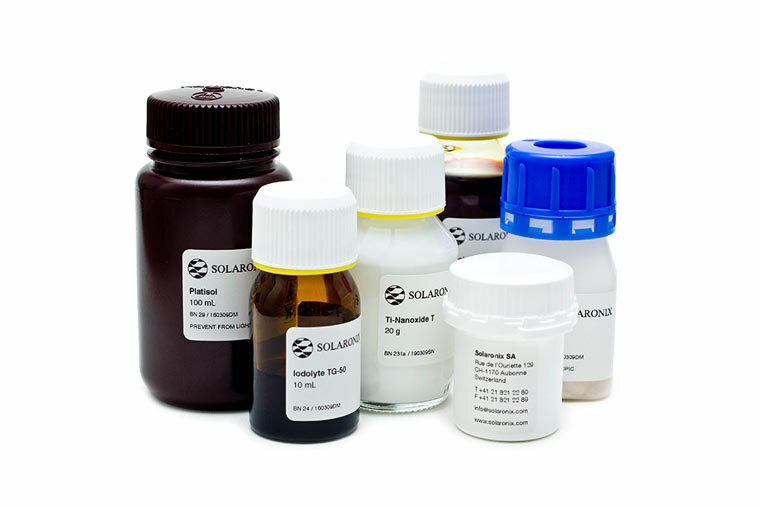 Our flagship chemicals are tested in our qualification solar cells to guarantee proper operation in their final applications. 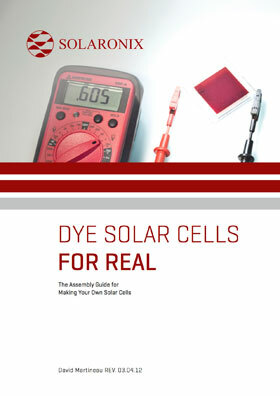 Solaronix is an EPFL Sun2 license owner since 1994 and enjoys a privileged relationship with our peers at this research institution ever since. Our team contributes to several scientific projects and brings its know-how to support research progress.